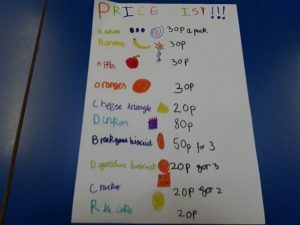 Following Bransty Primary School’s brilliant win at the Centre for Leadership Performance Bright Stars competition, we couldn’t wait to begin another budding business journey with one of our Primary School clients. 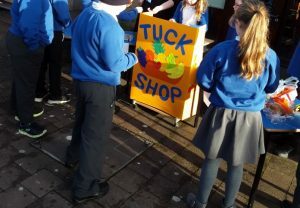 This year, we are partnering with Upperby Primary School’s Year 4’s, and the children are already making great strides towards success with their Tuck Shop business. Of course, every great business needs a core team of dedicated business men and women, and interviews to select the prestigious positions were held last week at the School. Orian Marketing representative Clary Hayes joined the Group’s Employee Engagement Manager Linda Macilwraith in interviewing a number of hopefuls for roles such as Finance Director, Marketing Director, Sales Assistants and a team Photographer. All applicants were outstanding and it was certainly a tough decision whittling down the Executive team. Clary wrote each successful applicant a personalised letter of congratulations and we were thrilled to hear about the excitement and pride that filled the classroom when they were presented. No pupil lost out on taking part in being a helper and are each taking a turn on helping out at the shop on a rota basis. Since trading commenced, pupils are already learning from their experience and how each day can be improved on the last. Workshops, educational trips and of course the amazing celebration event held at Energus, Workington all await and we can’t wait to see the progress that the team is set to make over the coming weeks! You can find out more about Bright Stars 2019 here.